Built on the site of an old chapel (actually the name Longmorn derives from "Lhanmorgund" meaning "place of the holy man") the Longmorn Distillery was founded by John Duff (owner of Glenlossie Distillery) and two associates, Charles Shirres and George Thomson in 1894, together with its neighbour Benriach. Despite winning early acclaim for the quality of its malts within the whisky world in those days, John Duff was caught up in the middle of the great recession and he was forced to sell the distillery to John Grant (from Glen Grant). In the early 1970's, Longmorn merged with "The Glenlivet" to create "The Glenlivet Distillers” and was subsequently acquired by Seagram in 1977. The distillery now belongs to "The Chivas and Glenlivet Group” that have been bought by the French group Pernod-Ricard in 2001. Longmorn is one of the few distilleries that never ceased production, it even survived the grain shortages of the Second World War. 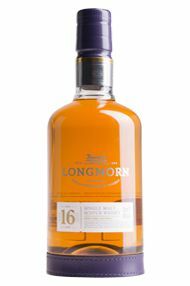 Longmorn's malt whisky is highly prized by blenders at least as highly as those of its sister distilleries Glen Grant and The Glenlivet. 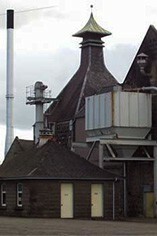 Much of the production is snatched for blends, very little is marketed as single malt. It is appreciated for its complexity and smoothness of texture. It is noted for its cereal-grain malty character and its perfumed bouquet of honeyed and floral notes. 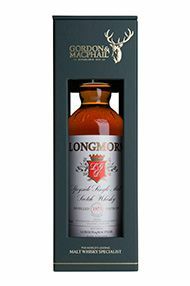 The Longmorn Speyside has defined sherry notes, with hints of cinnamon and stewed apples - reminiscent of fresh apple pie. The palate reveals hints of charred oak, with a burst of mixed spices, smooth with a stewed fruit edge.